I’ve always been a big believer in “Ask and you shall receive!”. So, I figured, I must ask, right? Well, I’m sharing my 2015 Christmas Wish List, in case anyone wants to buy me a gift! ;) Now, I know some of these things are a little extravagant, but that’s why it’s a wish list. A girl can dream, right? Honestly, though, the biggest thing on my wish list is travel. Lately, I’ve been feeling like I want less stuff, and more awesome, life experiences. 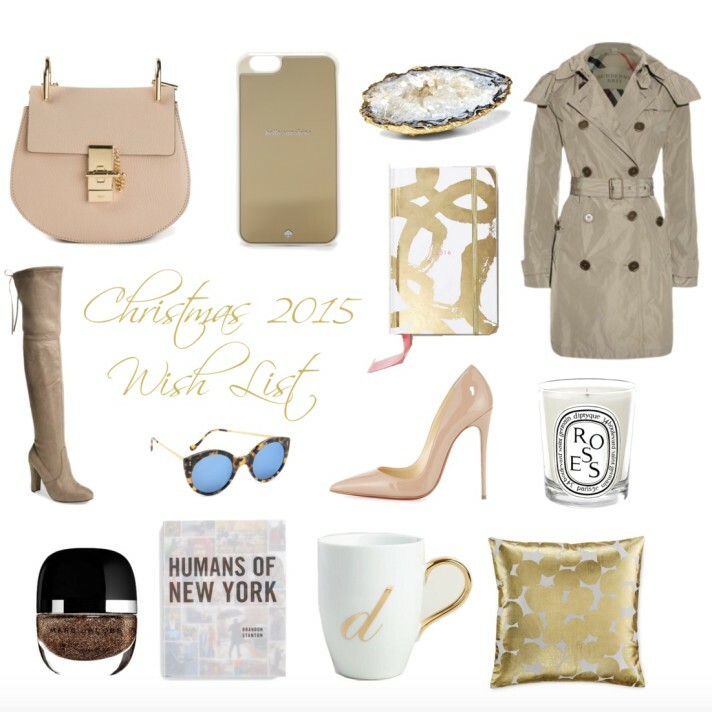 What’s on your 2015 Christmas Wish List? Btw, if y’all aren’t already, you should follow me on Twitter, Facebook, and Instagram. I’m pretty fun to follow, plus I never fail to share a good deal!